Unprecedented pressure from tourism and ill-planned construction threaten to impact park’s waters and biodiversity. 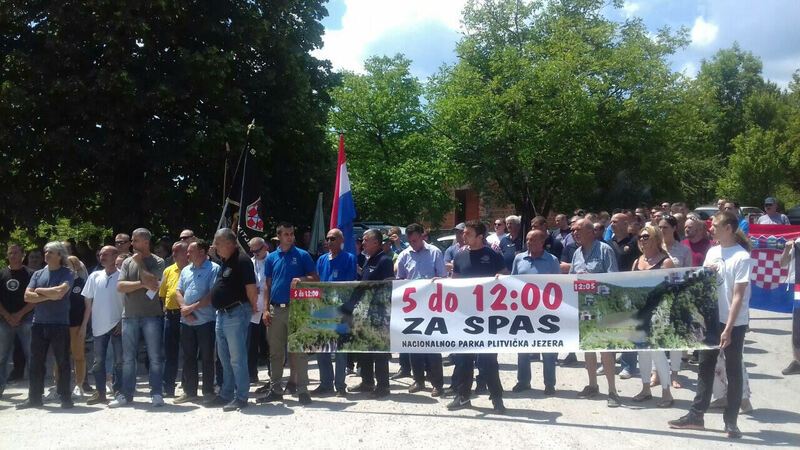 Zagreb – This week, local communities living in and around Croatia’s Plitvice National Park and veterans’ associations came together to symbolically halt traffic at a wooden bridge near Plitvice Sela to draw attention to the numerous threats facing Croatia’s only UNESCO World Heritage site. 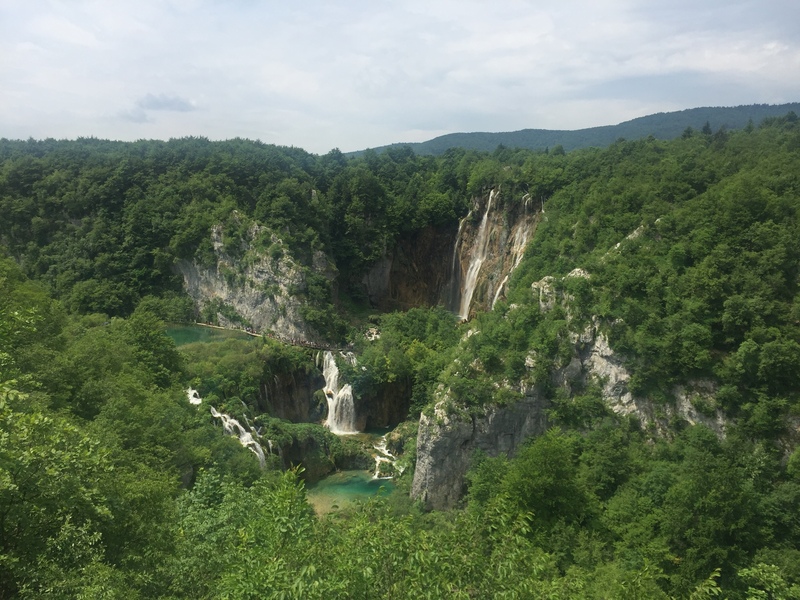 Known worldwide for its lakes, Plitvice National Park has long attracted thousands of visitors and interest but in recent years, unprecedented pressure from tourism and ill-planned construction projects threaten to impact the park’s waters and biodiversity. Excessive water use has left the park’s Great Waterfall running dry, with only 40 per cent of its maximum water capacity currently available. Unless urgent action is taken, Plitvice National Park could be inscribed on the List of World Heritage in Danger. 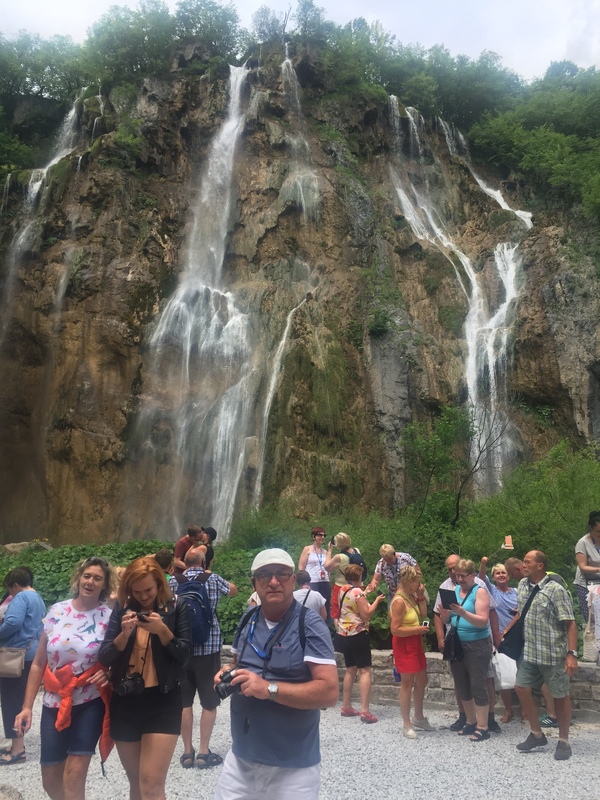 1.3 million people are estimated to visit Plitvice National Park annually and since 2010, overnight stays in Plitvice have increased as much as 12-fold to about 39,000. As visits increase, it is critical that the park adopts a sustainable management plan that balances the potential for growth with the need for greater environmental protection. In the past year, the ministry of construction and spatial planning has issued permits for the construction of 35 new private apartments, bed and breakfasts and restaurants. Even the bridge where people gathered on Wednesday 21 June, is estimated to be crossed every day by dozens of trucks weighing up to 40 tonnes while its maximum capacity is stated to be 3.5 tonnes only. WWF is calling on the Croatian ministry of construction and spatial planning to urgently start working with the ministry of environmental protection and energy to prevent the destruction of Plitvice Lakes. In addition to being a UNESCO World Heritage site, Plitvice National Park park is also part of the Natura 2000 network of protected areas requiring the Croatian government to ensure legal protection of the site against destructive projects. “We urge the government to work together with local communities and relevant stakeholders to ensure a more sustainable management of the park. By planning projects that involve local communities and take into consideration the natural values of the park, we can ensure Plitvice’s beauty and biodiversity are protected while promoting social and economic development for all,” added Popović Dujmović. 1.3 million tourists are estimated to visit Plitvice National Park every year. Local communities unite to raise their voice for better management of Plitvice National Park.